345, Muritala Muhammed Way, Lagos Nigeria. Cross Country Haulage offer a local, national and international haulage services with total reliability guaranteed. Our expertise within the Transportation industry has enabled us to become the haulier of choice for many companies within transportation community, as well as offering a wide range of services to business and industry. 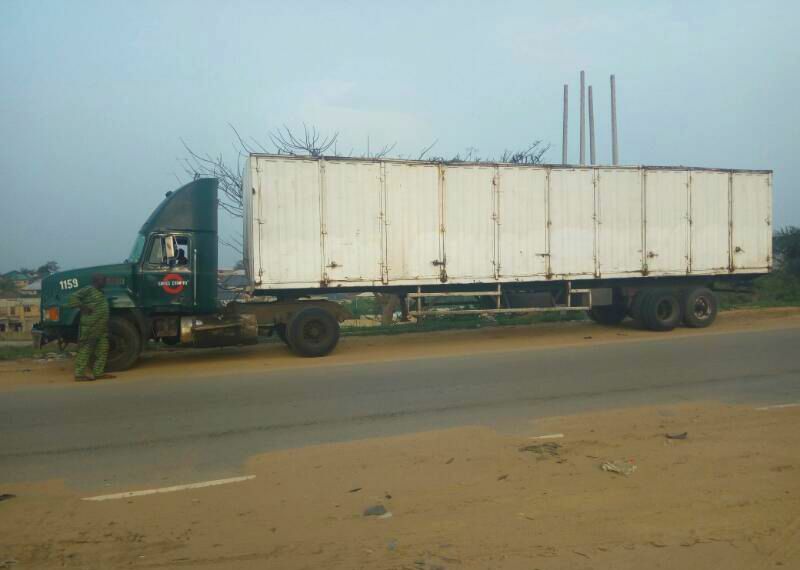 We are one of the longest standing haulage companies in Nigeria. Since 2001, we have provided clients with the peace of mind that comes with knowing that your goods will be delivered on time, and with no issues. Our professional staffs have many years of experience and understand how to get your goods to their destination as quickly and efficiently as possible. This takes huge pressure off your shoulders and will allow you to concentrate on other aspects of your business, safe in the knowledge that your goods are in safe hands. At Cross Country Haulage, we offer our clients a huge range of haulage services and solutions that meet the transport requirements of an individual or companies of any size throughout Africa with our head office situated at 345, Murtala Muhammed Way, Lagos. We are perfectly placed to deliver your goods anywhere in Nigeria. Opposite Presbyterian Church Yaba, Lagos Nigeria.